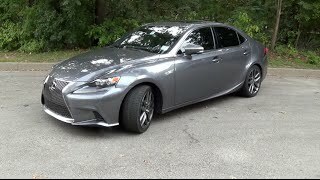 Lexus has debuted the third-generation 2014 IS Sports sedan, which provides a more dynamic driving experience with enhanced stability and body control while delivering improved ride comfort. 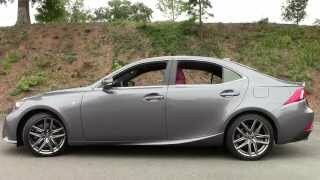 New luxuries abound in the 2014 Lexus IS. A high-efficiency dual-zone climate control system uses new, touch-sensitive electrostatic temperature switches. The IS offers two multimedia systems - A standard high-resolution Lexus Display Audio (LDA) with controller or the optional Lexus navigation system. Two IS models are available for 2014. 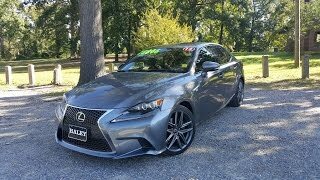 The IS 250 is powered by a smooth 2.5- liter V6 providing 204 hp @ 6,400rpm and 185 lb.-ft. torque @ 4,800rpm coupled to a six-speed Electronically Controlled Transmission (ECT) that features a sequential manual-shifting mode with rev matched downshifts in SPORT mode. 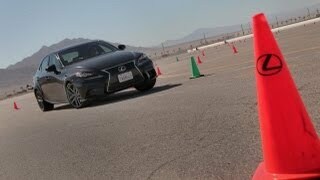 The IS 350 gets a 3.5-liter V6 with D4-S direct and port fuel injection. The 3.5 engine produces 306 hp @ 6,400rpm, 277 lb.-ft. torque @ 4,800rpm. 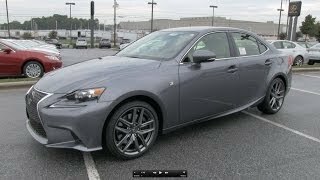 The IS 350 inherits the eight-speed, Sport Direct Shift (SPDS) automatic transmission from the IS F high-performance model.